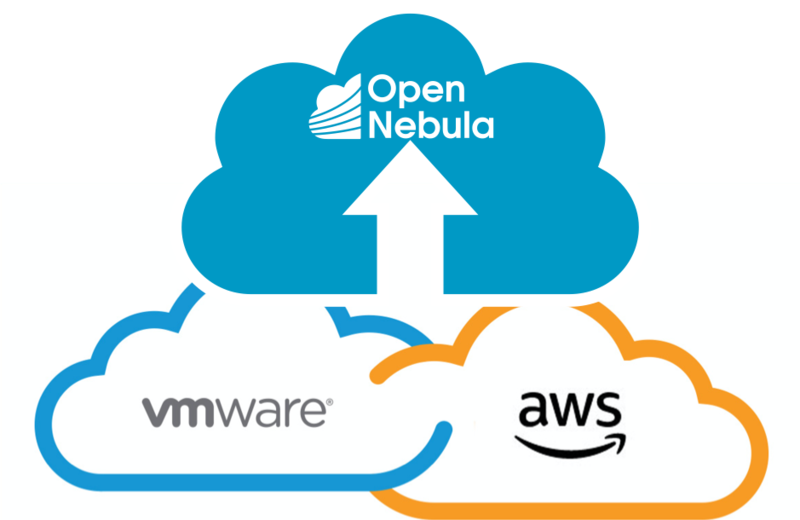 OpenNebula and VMware have just announced that OpenNebula is available to customers of VMware Cloud™ on AWS. 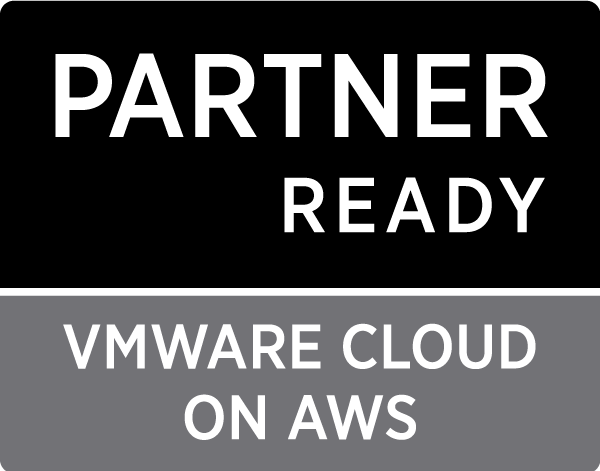 VMware Cloud on AWS brings together VMware’s enterprise-class Software-Defined Data Center (SDDC) software and elastic, bare-metal infrastructure from Amazon Web Services (AWS) to give organizations consistent operating model and application mobility for private and public cloud. OpenNebula enables cloud orchestration and provisioning features to customers of VMware Cloud on AWS. OpenNebula provides cloud provisioning features integrating on-premise vSphere deployments with VMware Cloud on AWS. The OpenNebula team will be present at VMworld US next week in Las Vengas with a booth (#2008) dedicated to showcase the new features of OpenNebula 5.6 and vOneCloud 3.2. 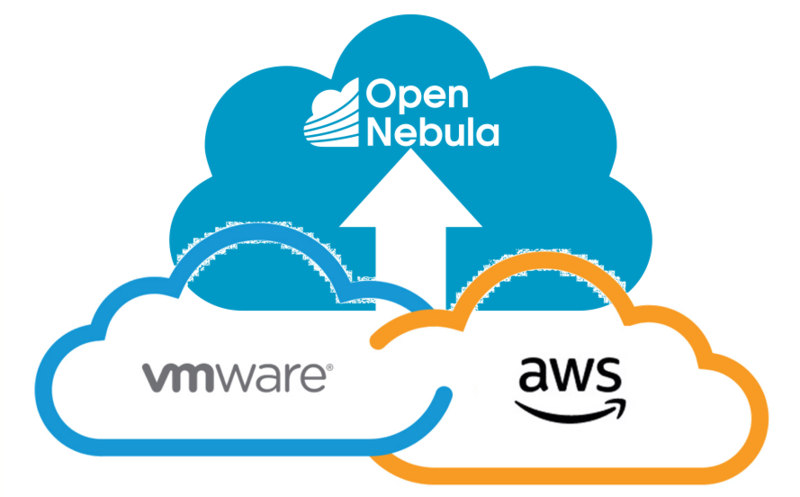 OpenNebula 5.6 has been validated and is supported on VMware Cloud on AWS. Customers can contact the support team through the commercial support portal to know specific configuration and limitations. OpenNebula Systems has published the schedule for public classes in 2018 for the OpenNebula Introductory Tutorial. The introductory tutorial is a beginner level course designed to introduce IT professionals to OpenNebula. The course covers the process of installing, configuring and operating enterprise clouds and virtualized data centers using OpenNebula. This course helps anyone who wants to set up a small scale OpenNebula test environment to gain experience working with OpenNebula. Students will be able to learn cloud architecture design, planning and installation, a general understanding of technical and business capabilities of an OpenNebula cloud, and basic configuration and usage of its main components. The course is available remotely over the internet, given by instructors in an interactive, virtual environment, and featuring exactly the same contents and hands-on labs as an on-site training. The course fee includes one OpenNebula Certification exam registration to be used just after the course. You can contact OpenNebula Systems if your would like to request private training. The OpenNebula Project is excited to announce the creation of a new Ecosystem area in the project web site. The OpenNebula provider ecosystem consists of service and technology companies that can help you design, integrate, deploy and operate the best cloud architecture for your workload, processes and IT infrastructure environment. Because no two data centers are the same and infrastructure environments are diverse, OpenNebula partners are focused on your success, helping you take full advantage of all the benefits that OpenNebula has to offer and achieve your business objectives. Services Providers offer integration and consulting services around OpenNebula products. They are professional services firms that help customers of all sizes design, architect, build, migrate, and manage their OpenNebula cloud. Services Partners include Consulting Companies, System Integrators, Strategic Consultancies, Agencies, Managed Cloud Service Providers, and Value-Added Resellers. They can be large consulting companies as well as smaller, specialized firms with market or geographic focus. Technology Providers provide software solutions, products or services that complement OpenNebula to build and operate a cloud infrastructure. They include Independent Software Vendors and Platform Infrastructure Providers that have validated their products with OpenNebula. You can apply to the OpenNebula Partnership Program to be included in the provider ecosystem. OpenNebula Systems has published the schedule for public classes in 2017 at its offices in Madrid, Spain, and Cambridge MA, USA. This year, there are training sessions just after the OpenNebula Conferences in US and EU if you want to make the most of the trip to the conference. Our Global Team is Growing, Join Us! OpenNebula Systems, the company behind the OpenNebula project, is hiring! The OpenNebula team needs to grow, and needs new sysadmins and developers to become part of the team. New team members will aid in building the technology that enables organizations around the world to build really-open clouds with unique, innovative features. OpenNebula users include leading companies in a wide range of industry niches, join the OpenNebula Systems team and have the chance to learn at every step of the way with people that help shape Cloud Computing every day. We are action oriented doers and passionate about what we work on. We’re not afraid to explore, pivot, bounce and learn, and are looking for highly motivated and enthusiastic people to join our team!. We are hiring full- and partial-time employees, and although our main offices are in Boston and Madrid you can work remotely from anywhere in most of our positions. Send us your resume if you are living in the US or the EU, you know about OpenNebula, system administration, programming, cloud and virtualization, and want to collaborate with the project. Cloud Systems Developers (for programmers that know about system administration), to work in the integration, certification and support of OpenNebula. Develop new integrations, maintain the testing infrastructure, participate in the upstream community, and provide professional support, integration and deployment services to users. Cloud Systems Engineers (for system administrators that know about programming), to work in the development and support of OpenNebula. Design and develop new features, prepare documentation, participate in the upstream community, consult with users and provide support. More information in the OpenNebula Systems careers web page. Join us in our path to cloud excellence, ship is leaving port! https://opennebula.org/wp-content/uploads/2018/11/opennebula_cloud_logo_white_bg-4.png 0 0 Tino Vazquez https://opennebula.org/wp-content/uploads/2018/11/opennebula_cloud_logo_white_bg-4.png Tino Vazquez2016-09-27 16:45:062016-09-27 16:45:18Our Global Team is Growing, Join Us! We want to let you know that OpenNebula Systems has just announced the availability of vOneCloud version 2.0.1.
vOneCloud 2.0.1 is based in OpenNebula 5.0.2 and as such it includes all the bug fixes and functionalities introduced in 5.0.2: OpenNebula 5.0.2 Release Notes. https://opennebula.org/wp-content/uploads/2018/11/opennebula_cloud_logo_white_bg-4.png 0 0 Jaime Melis https://opennebula.org/wp-content/uploads/2018/11/opennebula_cloud_logo_white_bg-4.png Jaime Melis2016-08-01 15:20:582016-08-01 15:24:42vOneCloud 2.0.1 released! We want to let you know that OpenNebula Systems has just announced the availability of vOneCloud version 2.0. Datastore and VMDK image management, as well as import. New Virtual Router Resource, to allow routing between isolated virtual networks. More flexible vCenter VM naming, with a configurable prefix. New resource pool mode, with the ability to select in which resource pool a particular VM is confined. New OneFlow templates operations, like the ability to clone existing service templates. Keep disks on done, to avoid deleting disks when the VM is terminated. Instantiate to persistent, to easily create a rich VM Template catalog. Dynamic VM reconfiguration, that can be performed while the VM is running or powered off. Share resources between logical clusters, like Virtual Networks and Datastores. The above features and components add to the already present ability to expose a multi-tenant cloud-like provisioning layer through the use of virtual data centers and self-service portal. vOneCloud seamlessly integrates with running vCenter virtualised infrastructures, leveraging advanced features such as vMotion, HA or DRS scheduling provided by the VMware vSphere product family. If you are building a large-scale cloud, are interested in the federation of multiple cloud instances, hybrid deployments, or want to integrate with third party components, customize the product or manage open source hypervisors, we recommend an installation of OpenNebula. vOneCloud is zero intrusive (although it fully manages the life cycle of VMs), try it out without the need to commit to it. If you don’t like it (as strange at that may be!) you can just remove the appliance. OpenNebula Systems will run a booth at VMworld 2016 US in Las Vegas on August 28-31 and VMworld 2016 EU in Barcelona on October 17-20 where they will demo the new version. OpenNebula Systems has announced an extension of its support services aimed at those OpenNebula users in production environments based on KVM that need to support the whole stack. Hence, support can be extended to include the Operating System of the virtualization nodes and the controller (which can be CentOS and/or Ubuntu), the hypervisor (libvirt and KVM), networking technologies as VXLAN/VLAN 802.1Q and Ceph as storage backend. The supported components are part of the Open Cloud Reference Architecture, created by OpenNebula Systems from the collective information and experiences from hundreds of users and cloud client engagements. This reference documents software products, configurations, and requirements of infrastructure platforms recommended for a smooth OpenNebula installation. This new support coverage is offered as an Add-on over the traditional OpenNebula support. User Survey 2015: Influence the Roadmap! We have created a new user survey that will take you only 5 minutes to complete. All of the information you provide is confidential. We will not share organization-specific or personal information. We will only report aggregate, non-personally identifiable data. Results from previous surveys: 2012 and 2014.
https://opennebula.org/wp-content/uploads/2018/11/opennebula_cloud_logo_white_bg-4.png 0 0 Ignacio M. Llorente https://opennebula.org/wp-content/uploads/2018/11/opennebula_cloud_logo_white_bg-4.png Ignacio M. Llorente2015-12-03 16:29:522018-11-26 11:45:03User Survey 2015: Influence the Roadmap!